View the final season of Game of Thrones in style! Prepare in your house of choice for the last season of Game of Thrones with a special edition, Game of Thrones-themed T-shirt! Donate blood at a LifeStream donor center or participating mobile blood drive Friday, April 12; Saturday, April 13; Sunday, April 14; Monday, April 15 or Tuesday, April 16 and the shirt is yours! FUNKO POP! 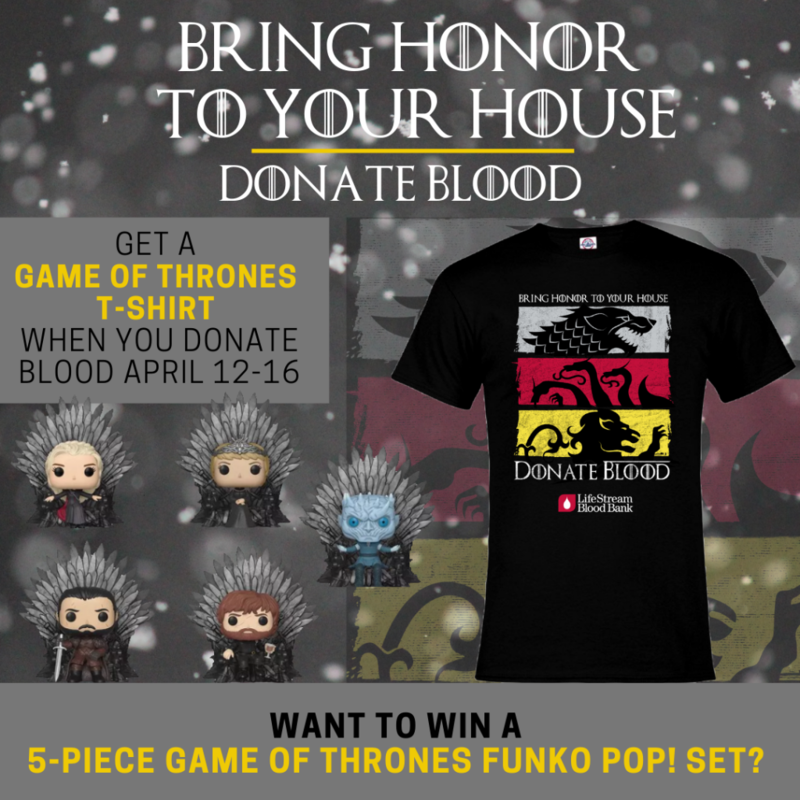 ALERT: Bring a friend with you –one who has never given blood with LifeStream — and you’ll have a chance to win a five-piece Game of Thrones Funko Pop! set! Last season. Last chance. Give blood and everyone wins. Make an appointment by clicking below or by calling 800.879.4484. Walk-ins are welcome!